The latest Windows 10 update caused the date format issue on some machines. We have followed Microsoft guide and released the new edition of ezCheckPrinting to fix the date format issue with latest Windows 10 system. Current ezCheckPrinting version 6 customers can download this new edition for free. Note: you can skip this update if you do not see this date format issue on your machine. With ezCheckPrinting, you can design and print professional checks in house easily. You can sort the checks in list by check number, payee name, address or other fields easily to print them in the order you need. For example: When you start your application, you will see check list. You can click the column header "check number" to sort the checks. Please feel free to download and test drive ezCheckPrinting for free before purchasing. Today many families can have several checking accounts. 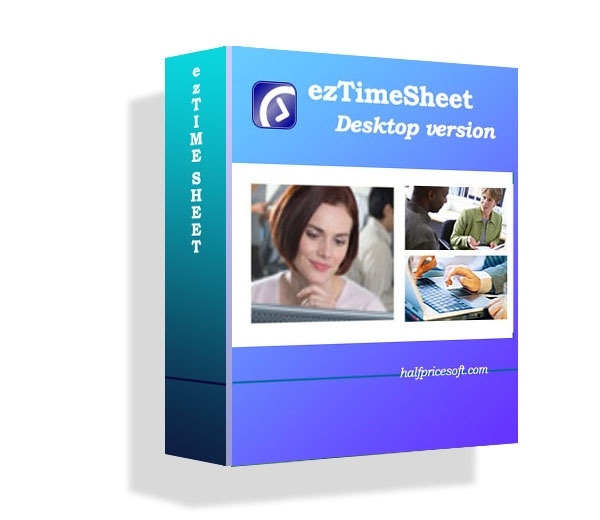 Check printing software developer halfpricesoft.com released the new ediiton of ezCheckPersonal software that can support multiple check accounts on the same machine with no extra. Stop ordering the expensive pre-printed checks! With ezCheckPersonal software, customers can design and print personal checks on blank stock for different accounts in home easily. Priced at $29 (Free through TrialPay offer), ezCheckPersonal is affordable for anyone. ezCheckPersonal is compatible with Windows 10 system, 32-bit or 64-bit. It can run on Windows XP, Me, 2000, 2003 and Vista, 7, 8 and 8.1 systems also. Now it is also available in MAC version (Sold separately). Question: My system use the Korean language, but in doing so, the American dollar sign on the stubs had changed into the, "Korean Won symbol." Can you change the language into Korean and more importantly, change it back to the US dollar sign? - On customize Format screen, click the tab Currency, then change Currency Symbol to $. QuickBooks and Quicken users can print checks on blank stock easily with ezCheckPrinting. However, some users got "port error" when they install the virtual printer on Windows 8 machine. A new edition of ezCheckPrinting Virtual Printer was released to fix this issue. From speeding up check writing to cutting cost, ezCheckprinting check writer from Halfpricesoft.com offers users numerous advantages. With EzCheckPrinting, users can print personalized checks with logo in house. ezCheckPrinting also allows users to print pre-printed checks with MICR encoding line to fill in manually or with other software. Responding to the requests from QuickBooks users, the ezCheckPrinting QuickBooks Virtual Printer is released. Now users can print QuickBooks and Quicken Checks on blank check stock easily. To print checks from QuickBooks and Quicken (no matter desktop version, netwrok version or online version), you need to install both ezCheckPrinting and VIrutal Printer on your location machine. Step 1: Install ezCheckPrinting on your machine and run it at least once to make sure you can print check from ezCheckPrinting with no problem. The virtual printer will call ezCheckPrinting CheckPrint() function to print check(s) from QuickBooks and Quicken. Start QuickBooks and print checks as usual. On print check opion screen, select EzCheckPrinting QuickBooks Virtual Printer as the current printer. Otherwise you can click the CLOSE button to see ezCheckPrinting check list screen. These checks will imported into ezCheckPrinting software too. 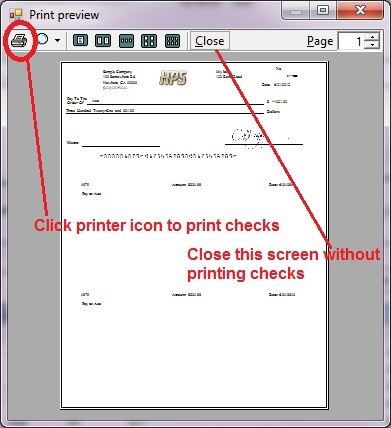 On ezCheckPrinting check list screen, you can edit, delete and print checks. When Halfpricesoft.com's users send flowers to mom for this Mother's day, they can get a gift for themselves as the same time. Halfpricesoft.com, a leading provider of easy-to-use software for small businesses and families, partnered with TrialPay for the coming Mother's day and lets customers obtain small-business and family software for free when users purchase from advertisers who pay the cost of the software. Louisville, Ky.-based software developer Halfpricesoft.com specializes in creating software that is ready to use as soon as it’s installed; no long learning curve or bulky user manuals. Founded in 2003, Halfpricesoft.com has established itself as a leader in meeting the software needs of small businesses around the world with its payroll software, employee attendance tracking software, check writing/printing software, W2/1009 software and barcode generating software. It continues to grow with its philosophy that small business owners need affordable, user friendly, super simple, and totally risk-free software. "Everyone loves getting free stuffs. But through our partnership with TrialPay, consumers can get their favorite software for free and get something else they want in the process." said Dr Ge, the founder of halfpricesoft.com. "It's a remarkable way to treat our customers to free software, while ensuring that the software's copyrights are properly obtained." EzCheckpersonal is one hot selection for family users and this check writing software is available for free download at http://www.halfpricesoft.com/check-printing-personal-software-download.asp. Few things are as frustrating as sitting down to pay the bills and realizing the checkbook has run out of checks. Customers of Halfpricesoft.com’s ezCheckPersonal never have this problem. With this easy-to-use laser check printing software installed on a home computer, customers have a nearly unlimited supply of checks. "It's a win-win-win-win situation: the customer gets free product, we make sales, the TrialPay advertiser makes sales, and TrialPay gets commissions." said Dr Ge, "You're getting something for Mom anyway. Why not get something for yourself at the same time?" 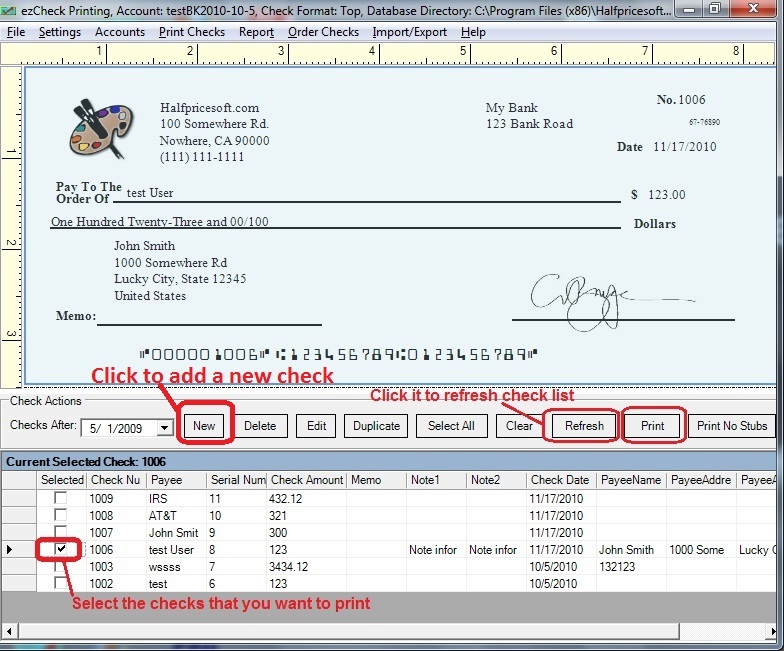 ezCheckPrinting allows users to print checks on the blank check paper. You can export your target checks from Quickbooks, Quicken to CSV file. Then import these data into ezCheckPrinting and print bulk checks. You access this function by clicking the top "Import/Export" menu. When you export from excel, you should save it as csv file. Another option is to Export the Payroll Summary Report. When you get to the Payroll Summary report then click on the Export button at the top you will then have the option to select .csv file. How does ezCheckPrinting work with Quickbooks, Quicken, PeachTree and other software? ezCheckPrinting is the check writing and printing software. User can use it with Quicken, Quickbooks or other software in the following ways. 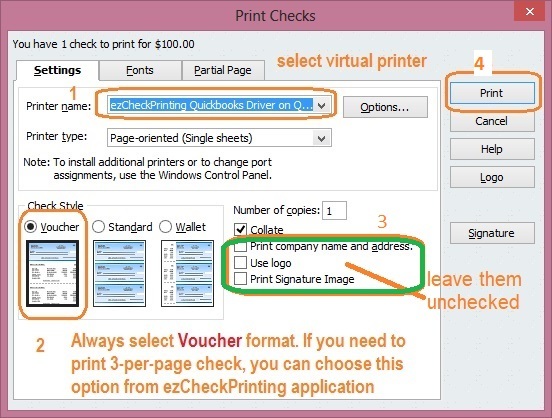 EzCheckPrinting Virtual Printer allows users to print checks from QuickBooks and Quicken in one step. You just need to install both ezCheckPrinting application and ezCheckPrinting Virtual Printer on your local machine. When you print checks in QuickBooks and Quicken, just select ezCheckPrinting Virutal Printer as your printer, you will be able to print checks on the blank check stock in one step. And these checks will be imported into ezCheckPrinting software at the same time. You can use the Print Blank Check funtion to print the pre-printed checks. It will save you time and money. You can try this function by clicking the top menu "Print Checks->Print blank checks". Here is step by step guide. 3. Import check data from .csv file and Print checks on the blank check paper. ezCheckPrinting allows users to print checks on the blank check paper. You can export your target checks from Quickbooks, Quicken to CSV file. Then import these data into ezCheckPrinting and print bulk checks. You can access this function by clicking the top "Import/Export" menu.